Lyft accidents can be incredibly scary and harmful. One moment, you’re conveniently on your way, the next, your life might be in danger. There’s going to be a million things going through your mind when one of these accidents occurs. It’s easy to panic and feel like you’ve lost control. There are a few things you can keep in mind. That way, you can get to work on putting things right even immediately after a tough accident. You should look for medical assistance after any and all kinds of Lyft accidents. That also includes accidents where you don’t feel like you were hurt much at all. Unfortunately, you never know what kind of internal problems you might have or what kinds of injuries you could develop later on from after even a small accident. This will also help you to keep track of any evidence of injuries so you can go about filing a claim and eventually recovering compensation from the accident. Make sure to contact the police as well after Lyft accidents. Again, you should do this even after minor accidents. Even though it may look like “just a fender bender,” it should be reported. Not only is this the best choice for your immediate safety, it also can help you should you decide to claim for damages in the future. That’s because of the police report. A police report is comprehensive and detailed. It lists everything about the accident: the conditions when it happened, when it happened, as well as any and all reasons why it happened. It may seem silly, odd or even irrelevant for someone injured in an accident involving a Lyft driver to contact the app itself, but it’s necessary. Quickly reporting the accident creates a record of the accident. Better still, it shows definitively that the driver was technically on the clock during the accident. Typically, Lyft will deny any liability. They will put the responsibility solely on the driver or any other third party. All you should do is report the accident. Be sure to never, ever talk to anyone who represents the company before you reach out to an attorney. While this article discusses Lyft accidents, everything said here applies to Uber, as well. Should you be in an accident with Uber (or really, any ridesharing service) be sure to follow this same set of steps. 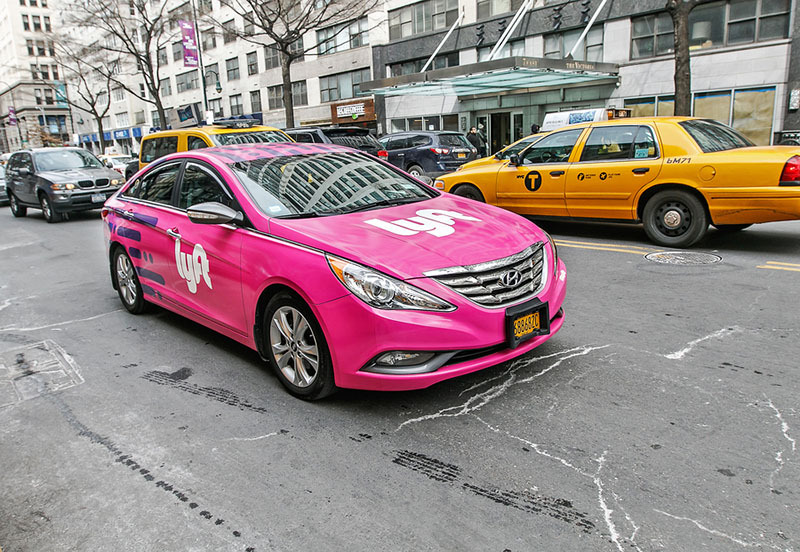 They’ll do all the same things as Lyft: they’ll try to deny liability, and they’ll put it all on a third party or the driver. In terms of accidents, they are the same. The attorneys at LA Injury Group can take your case and get you what you deserve. Lyft will do their best to minimize or even eliminate a payout after any accident. They’ll have big time attorneys on their side. You deserve the same. So, be sure to contact LA Injury Group at (818) 210-4558 or go to their site after Lyft accidents.